Janet Evanovich is the author of the Stephanie Plum books, including "Two for the Do"ugh and "Sizzling Sixteen," and the Diesel & Tucker series, including "Wicked Appetite." Janet studied painting at Douglass College, but that art form never quite fit, and she soon moved on to writing stories. She didn't have instant success: she collected a big box of rejection letters. As she puts it, "When the box was full I burned the whole damn thing, crammed myself into pantyhose and went to work for a temp agency." But after a few months of secretarial work, she managed to sell her first novel for $2,000. She immediately quit her job and started working full-time as a writer. After 12 romance novels, she switched to mystery, and created Stephanie Plum. The rest is history. Janet's favorite exercise is shopping, and her drug of choice is Cheeze Doodles. She and her husband live in New Hampshire, in house with a view of the Connecticut River Valley. "Comes roaring in like a blast of very fresh air...Goes down like a tall, cool, drink." "Snappily written, fast paced and witty." 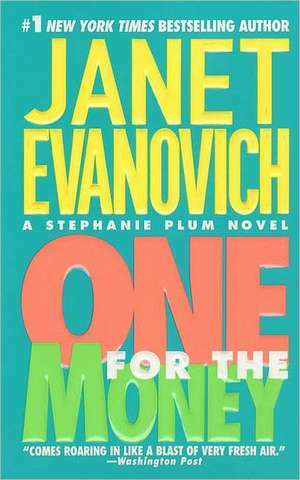 "Evanovich is funny and ceaselessy inventive." "Evanovich's writing is smooth, clever and laugh-aloud. Her plot is ingenious and fresh, her dialogue breezy, bright, witty, and gutsy."